Melba R. Moore, M.S., C.P.H.A. 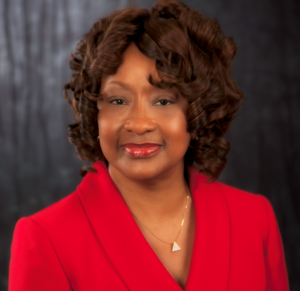 Melba R. Moore, is the Interim Director /Commissioner of Health for the City of St. Louis Department of Public Health. The Department of Health is dedicated to assuring a healthy City of St. Louis Community through quality public health programs and partnerships by providing continuous disease protection, disease prevention, and promotion of public health improvements. A Certified Public Health Administrator with emphasis in Health Management. Ms. Moore has served in government from 1990 to 1996 as the Coordinator of a Genetics Program and again from 2001 to the present as Interim Director/ Commissioner of Health. Interim Director Moore is the 2009 recipient of the American Medical Association’s Dr. Nathan Davis Award for Outstanding Government Service. In 2011, she was selected to attend the Community Health Leadership Executive Program at the Satcher Health Leadership Institute in Atlanta, Georgia. Was also elected by the Office on Minority Health to serve on Region VII’s Health Equity Council, where she was later selected to serve as the Co Chair with a body of experts from Iowa, Kansas, Missouri and Nebraska driving a collaborative health equity agenda. The 2016 recipient of the National Coalition of 100 Black Women’s 2016 Exemplary Women Leadership Award. Previously, the Interim Director/ Commissioner was the Chief Executive Officer for the National Coalition for Stroke Prevention and Awareness with the Illinois Academy of Family Physician’s, providing strategic leadership with 30 + community health agencies and healthcare providers in developing and marketing programs on stroke prevention and awareness. Interim Director/Commissioner Moore is an advocate for women, children and vulnerable populations and lectures nationwide on health disparities. Currently a Doctoral Candidate in Business Administration with a specialization in Healthcare Administration who has earned her Bachelor of Arts (BA) degree in Psychology from Webster University, a Master of Science (MS) degree in Health Management from Lindenwood University, a Certificate of completion from Harvard University – John F. Kennedy School of Government for State and Local Executives and has been approved by the Public Health Practitioner Certification Board as a Certified Public Health Administrator.